Learn How to Wear Fake Lashes with Glasses! Applying falsies can be a tedious task at the best of times, but if you are a glasses wearer then you will be always in a dilemma between wishing to look glamorous with falsies ON and getting the right pair of lashes which won’t be out of place behind your glass frames. Here is my blog to tell you that there is a lash life after the glasses, so you don’t need to live in fear of this prospect! You may not be aware of the true fact that our false eyelashes are supposed to be contact lens friendly. If you are a glass wearer, then don’t ever feel that applying false lashes will irritate your eyes. Just sit back and apply these two types of false eyelashes and consider few important tips to make your applying job a little easier. Do you feel awkward to size up your lashes, apply the glue or to apply the lashes and wear glasses simultaneously? If so, then you should choose our Pre-Glued lashes. 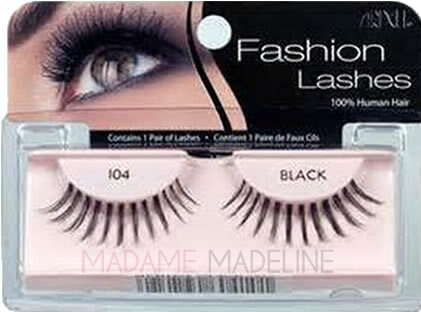 If you will wear the finest quality pre-glued false eyelashes, you can able to cut out the messiest part of falsies. Hence, if these fake eyelashes don’t fit your natural lashes, then there will be no stress for cleaning the glue from the eyelid and rescuing your lashes for your another attempt. So why not purchase Eylure Ready to Wear Pre-Glued Lashes to check out its benefits. Accent lashes are one of my favorites and are perfect add-ons to any makeup kit. You can make your lash line look more dramatic as well as natural with applying accent lashes to just the corner of your lashes. Your eyes will able to look flawless throughout the day; even after a long time you will enjoy a well-deserved catch up with the girls. 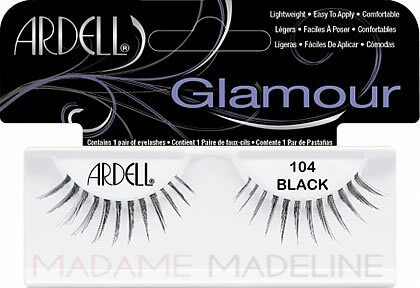 Did you know that Ardell holds an amazing variety of accent lashes in various styles, designs. Find out the Ardell Accent Lashes that suits your eyes best. Apply a mascara coat to your natural lashes beforehand. As a result, it can reduce the chances of creating mascara stains on your lenses and can help the false eyelashes to live longer. For obtaining better results, you should wait until the mascara getting dry before wearing glasses. If you want to wear glasses while applying the glue to your natural lashes, then settle them at the end of your nose. Hence, you can effortlessly look down through the glasses while applying lash adhesives. If your chosen fake lashes are too long that they are hitting your glasses, then smoothly curl the lashes to get away from your glasses. 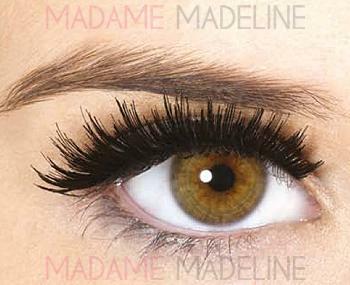 False eyelashes of Madame Madeline can suit everyone’s need and preference. I hope you have enjoyed our smart tips and information regarding the false eyelashes. At the end, it is concluded that there is always a lash life after wearing glasses and now you have got the proficient knowledge and the power to live your dreams! Leave us your views and any tips for the glass wearers that we would like to share at our Facebook page.